MANILA, Philippines — Kapamilya actor John Lloyd Cruz’s artworks are exhibited in West Gallery’s four-man exhibition, with the actor going by his real name, Idan Cruz. Cruz’s works are exhibited alongside Kaloy Sanchez, Tatong Torres and Kawayan de Guia. The gallery, located in Quezon City, opened the show last February 29. The exhibit will be open to the public until March 30. 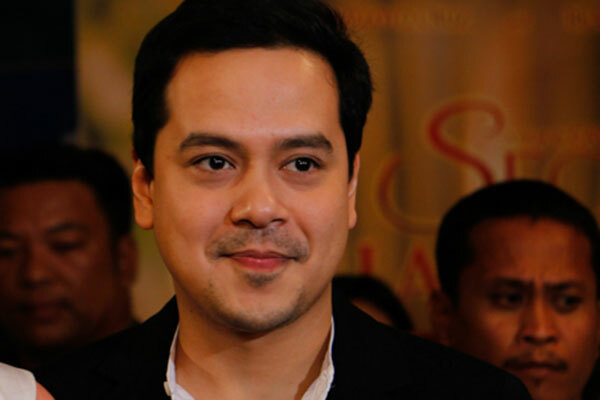 According to a report by ABS-CBN’s ANC, John Lloyd’s unframed photos start at P1,000 to P8,000, while his photoboxes range from P20,000 to P30,000. Titled “Void,” John Lloyd’s show displays images that present mostly nothing. The actor reportedly took the pictures almost two years ago, around the same time he filed an "indefinite leave" to ABS-CBN. “Idan framed the emptiness of vast expanses of gray, what appear as night skies broken by flickers of light, saturnine textures, vacant public spaces. Figures emerge tentatively, like in the case of a photo that captured two blurry forms, and another image with a human head silhouetted against blinding light,” ANC described the actor’s works. Also included in his show is the stool he posted last 2017 on Instagram, which drew mixed reactions from online users back then. He corded the 22x15-inch photo titled, “Lick Your Own Wound,” to an electric outlet with an “Out of Order” sign. This is about a man who walks around in a short-sleeve batik shirt printed with mysterious dead birds.